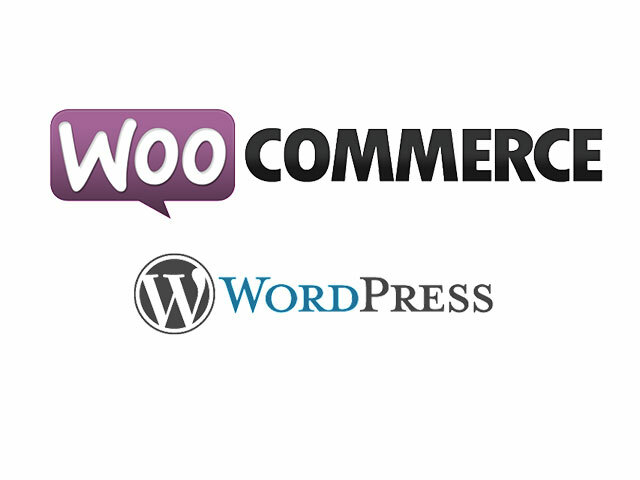 Best Free Sushi Restaurant Woocommerce WordPress theme builds with Genesis Framework, shopping cart supported by WooCommerce 3.x, Responsive Layout, Easy to Customize! This theme is an ideal choice to building your own sushi bar online, to include more than details about various types of sushi and allow your viewers to completely immerse in the Asian culture that brought sushi in the Western lands. 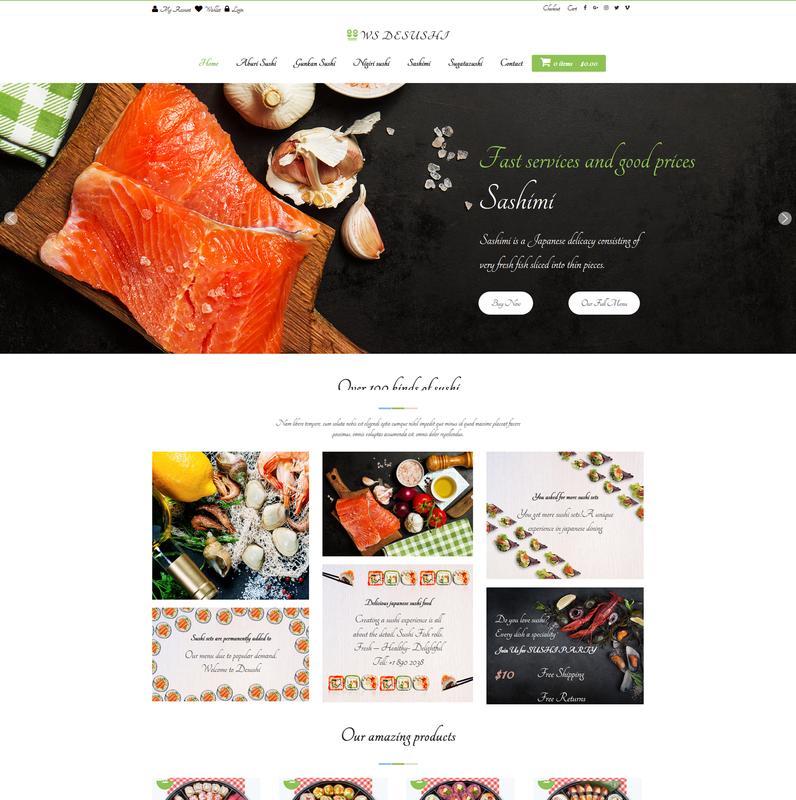 WS Desushi is Free responsive shopping cart WordPress themes based on WooCommerce plugin that used for sushi restaurants websites. The content is clean and organized as a grid in order to allow the viewer to scan quickly through your menu and feel tempted to pay you a visit in real life. Each layout is pre-integrated with advanced features and it is extremely easy to put together. 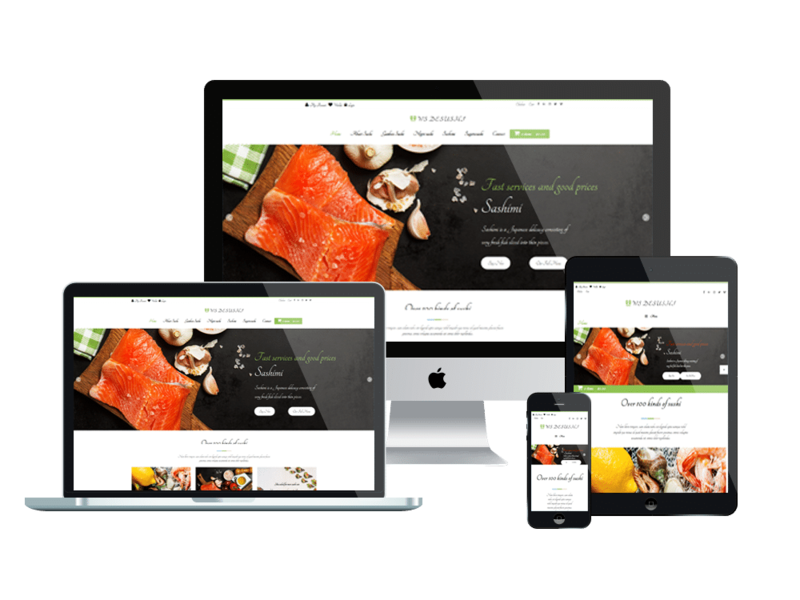 In just a few moments you’ll have a brand new site that looks delicious and can be a fantastic tool of business management. Using discreet yet powerful colors that stimulate the appetite, in combination with the amazing mouthwatering images, we managed to create a great atmosphere that invites the viewer to come into your sushi bar and have a taste of that delicious food you’re preparing. For the technique of this theme, it builds from the powerful framework with fully bootstrap supporting elegant page builder and drag-drop layout content. 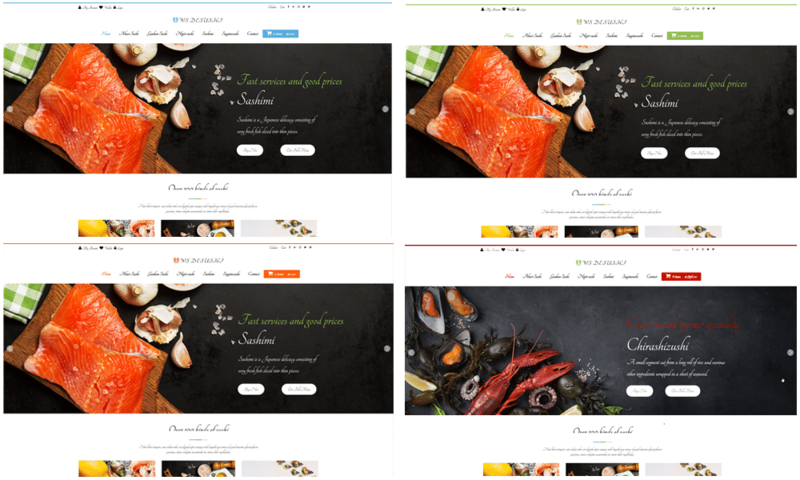 WS Desushi makes your sites ready to display on any mobile and tablet version with 100% responsive layout, clean and stylish. In addition, it comes with unlimited color and a color picker in the admin panel to create attractive websites with various layouts.